Matt Snowball Music cater for both pro users and those looking to hire one-off for an event. 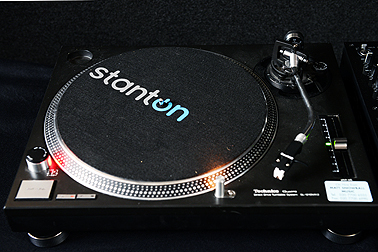 Whether you’re preparing for a club set or major gig, we have the DJ equipment you need. Our stock includes the latest mixers and CDJ players. Scroll down to the bottom for our stock list of individual items. If we don’t have it, we can get hold of it. Details below of some of our standard DJ equipment and speaker packages. We can also tailor with extra microphones, lights, staging and speakers – just ask! You don’t need to be a professional DJ to operate this setup. Ideal for any party, we supply iPod adaptor, speakers [400 Watt Mackie SRM450 speakers x 2], tripods and all cables. All you need to supply is the iPod!. If your music collection is on CD, this professional DJ package is ideal. We supply 2 x Pioneer CDJ 1000, Pioneer DJM 600 Mixer, 2 x Mackie SRM 450 speakers along with tripods and cables. You supply the CDs! This professional package is for a larger venue. It includes 2 x Pioneer CDJ 1000, Pioneer DJM Mixer, 2 x Mackie SRM 450 speakers, Mackie SWA 1501 sub. Tripods and cables included. 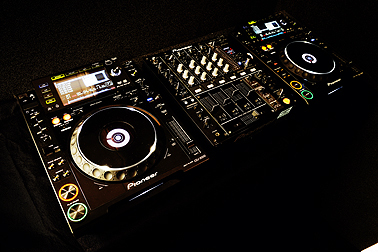 All DJ rental equipment is kept in top condition by an experienced in-house team. We regularly service all stock and individually test each item before your hire. That way you can be confident it’s in perfect condition.